The beginnings of Halverstown Cricket Club are a little hazy, but the badge proudly proclaims “1885” and who are we to argue? It definitely dates back to the late 19th century and is the oldest cricket club outside Dublin in continuous existence. It has laid its wicket in many locations following its beginnings near Old Kilcullen, but has never strayed far from its roots. For the past 23 years it has been situated in one of Ireland&apos;s most beautiful cricket locations. There is a gap in the wall that surrounds the historic Harristown estate in Brannockstown, County Kildare; go through and past the understanding house owner and you will find this oasis of cricket, surrounded by fields, ancient oaks and broad leafed trees. Here on the banks of the Liffey, thanks to the generosity of the Beaumont family, Halverstown is one of just two clubs keeping cricket alive in County Kildare. The county once boasted 27 clubs – though nowhere near Kilkenny, the original heartland of Irish cricket, which fielded 50 teams in 1896! Halverstown fields two teams: a league team playing in the Division 12 of the Leinster League, following its winning of the Division 13 title in 2017, and Halverstown Oaks which plays friendly fixtures and is named after the stately old trees which grace the ground. 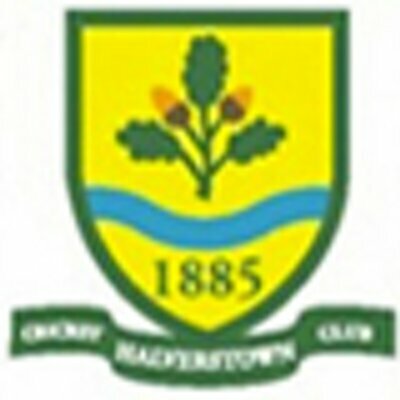 Halverstown&apos;s crest encapsulates its history featuring the oak leaf from the Kildare crest, the Liffey on whose banks they play and its 1885 foundation date, all on a background yellow taken from the coat-of-arms of the Purcell family on whose Halverstown House grounds it started all those years ago. We are about 10 km south of Naas, Co. Kildare. GPS Coordinates: 53.134006, -6.700169. You will pass Piper&apos;s Hill School on your left, Kilashee Hotel and eventually Fred Daly Tractors. 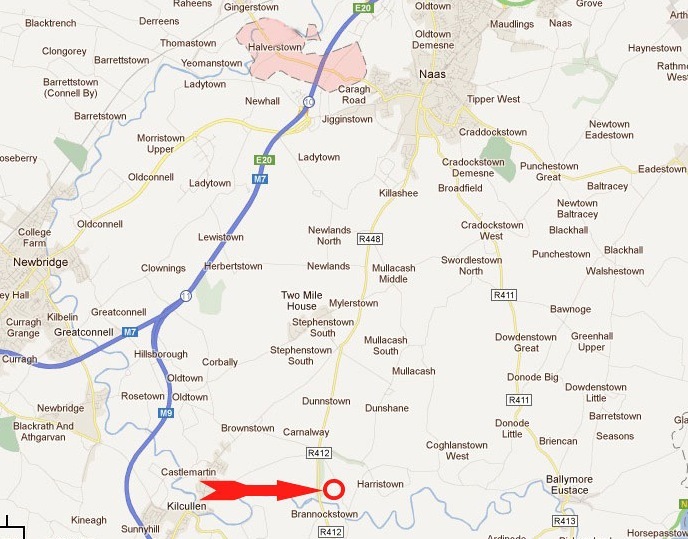 Next left points to Dunlavin R412 (that&apos;s about 5 km from Kilcullen roundabout).